A while ago I wrote a blog post called Books I Read As A Child, and I had so much fun going into my loft and looking through all my old books that I thought I would do the same with films! I have so many old VHS tapes buried upstairs in my attic that this list could've been 50 films long but I managed to whittle it down to 8 that I wanted to share with you today. A lot of the films were old disney VHS tapes and because I still watch disney to this day I decided to leave them off this list and focus on some others! I absolutely adored Mary-Kate and Ashley when I was growing up. I had pretty much all of their films, books and merchandise, and 'two of a kind' and 'so little time' were some of my favourite tv shows to watch. I remember being gutted when they announced that New York Minute was the last film they were going to make and now that I've re-discovered all of these videos all I want to do is binge watch all the films! I absolutely loved Seeing Double, which they released quite late into their career (paul had already left the band), but along with this film I also loved the three TV series they created about trying to make it as a successful pop group. I remember teaching myself the dance moves to the performances they did in the TV show and recreating them with my friends. They were definitely one of my favourite groups as a child and whenever I fancy a throwback I definitely look to them! I thought this film was so cool when I was younger. I desperately wanted to be a spy kid and use all of their gadgets, wear the outfits, and defeat the and guys. I think the second film was my favourite, but the entire trilogy itself will always be a firm classic. This was the first and only barbie film I watched and I loved it. It's actually a really beautiful kids film, and it definitely made me want to be a ballerina for a short while! I think everybody my age watched this movie as a child and I definitely watched it not too long ago. Hilary Duff was one of my teen idols and I still know all the words to the songs in this film! This film actually used to scare me a little bit when I was a kid, but I absolutely loved it and I love it even more now. As someone who hates adult horror films, a 'childrens' scary film is my kind of scary film, so I definitely need to purchase this on dvd in time for halloween! This is an older film that was released in the 70's, that my mum purchased for me one day and I ended up watching on repeat. It's about two alien children, who don't know they're aliens, and have all of these magical powers that they use in their journey to escape from the bad guys. My favourite scene was where the young boy makes all of his toy puppets dance using his harmonica and it made me wish I had magical powers! This is the sweetest film and, just like all of the films in this list, I would happily watch this today. I think this is similar to films like Matilda with it's cult classic status and it's definitely a film I'll be keeping for my future children! What films did you watch when you were younger? This post is so nostalgic! 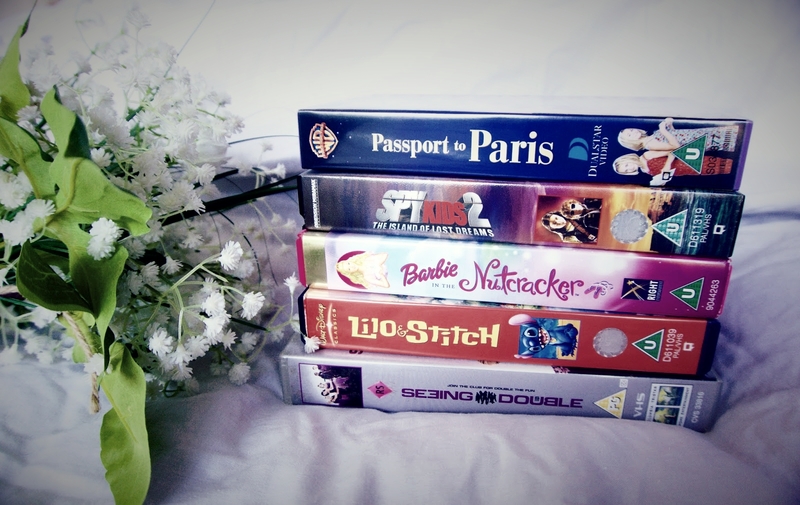 I have watched almost all of these even Escape to Witch Mountain Lizzie McGuire was definitely a favorite, and I rewatched it recently and it was just as good as I remembered. I used to love anything with S Club in, I can remember checking peoples belly buttons to check that they wasn't clones! I loved watching the Seeing Double film when I was younger and I really liked watching Two of a Kind as well! Mary-Kate and Ashley's films were my childhood! This post is pure nostalgia! Great idea.